If you’re in debt and are unable to keep up your monthly repayments to creditors you may have considered an Individual Voluntary Arrangement, or IVA. An IVA is generally viewed by creditors as a preferable option to bankruptcy, as it means that they are more likely to get some of their money back as well as avoiding the high fees associated with bankruptcy. There are certain general requirements that you must meet in order to be eligible for an IVA. In the vast majority of circumstances you must owe at least £15,000 in unsecured debt. This does not include secured debts like mortgages or other loans secured against your home, car or other property, but consists of debts such as credit cards, loans, store cards etc. These debts should be owed to at least three institutions. In order for an IVA to work, you need to have a regular income. This does not necessarily mean that you need to have a job, but could include dividends payments, pension or interest payments. From this regular income, you should have at least £200 per month that is available to make payments to your creditors. Only a Licensed Insolvency Practitioner can arrange an IVA for you. There are many LIPs in the UK, and you should be able to find one in your local high street solicitors firm or accountancy firm. Firstly you will disclose details of your financial situation to the practitioner that is arranging your IVA for you. They then prepare a ‘financial statement’ to show to creditors to prove that you are unable to meet your obligations each month. You will work closely with the practitioner arranging your IVA to set a sum that you can pay each month towards your debts. Once these have been agreed, an IVA proposal is drafted and you must swear this in front of a commissioner for oaths or a solicitor. Then, your LIP will apply for an ‘interim order’ which gives you full legal protection from your creditors. Not only are they prevented from contacting you directly, they are prohibited from commencing or continuing with bankruptcy proceedings against you. At this stage a ‘Nominees Report’ is prepared that provides a professional opinion as to whether or not your offer is reasonable and made in good faith. 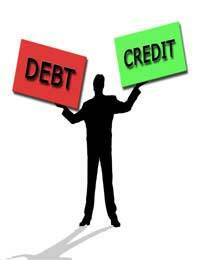 Then a meeting of creditors is held, which is an opportunity for the creditors to voice their opinion as to the IVA. In practice these meetings are rarely attended by creditors, as they can vote without going to the meeting. Creditors who are owed at least 75% of your debt must agree to your IVA proposals. If they do not, the meeting will be suspended and other creditors will be asked to attend. Once your IVA is agreed, it is legally binding. If you meet all the repayments under the IVA, once it has finished (usually after five years) all the debts that were part of the agreement will be paid off, regardless of how much you have actually paid off. Throughout the period of the IVA your financial and personal circumstances will be reviewed. This means that if you receive a pay rise, a bonus or an inheritance, this would be likely to affect the level of your payments under the IVA. IVAs are not suitable for everyone and it may be that you are better off petitioning for your own bankruptcy instead. For more information see the ‘Bankruptcy’ page on this website. Thanks for sharing a information.It is really informative and helpful article that you have shared on iva loans. in order for an IVA to work, you need to have a regular income. This does not necessarily mean that you need to have a job, but could include dividends payments, pension or interest payments.Holiday Loans are one of the most common and convenient loans that can be borrowed easily from FriskyLoans to overcome the immediate financial requirements pertaining to availed to fund a trip or a vacation within the UK or abroad. They are the typical short-term loans which do not need any security or collateral to be placed as surety in exchange to borrow a loan.Avail the holiday loans online from FriskyLoans and enjoy your vacation.